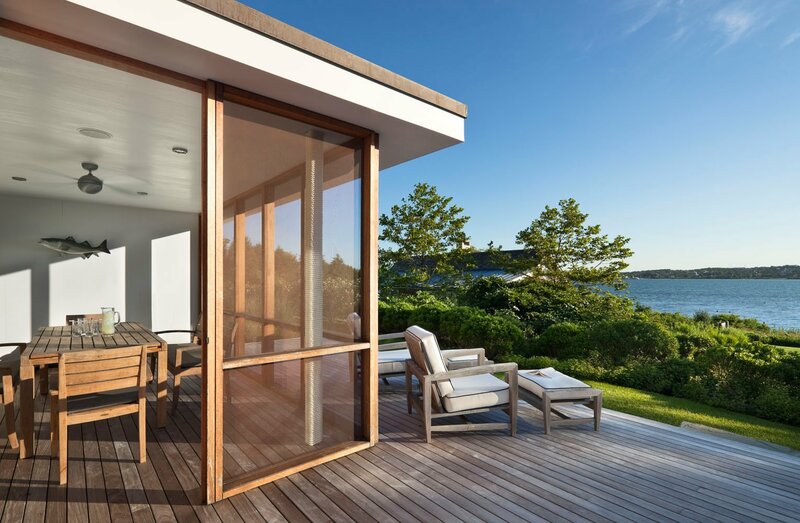 To build this peaceful, lakeside abode, architect Robert Young had to start from scratch. The lot’s original structure — constructed out of concrete in the 1970s — was simply too rundown to save. 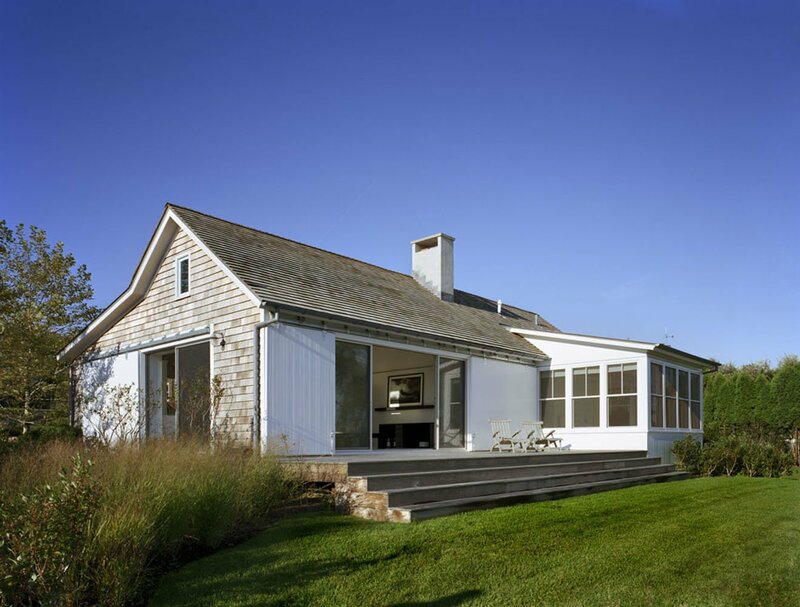 After bulldozing the pre-existing home, Young installed three buildings: a 4,500-square-feet main house, 1,800-square-feet guesthouse and 600-square-feet barn. This gave the owners plenty of space for daily living, along with room to entertain throughout the year. Though the structures were brand new, Young worked with the family to give its home a weather-worn, but still modern, atmosphere. Accents like cedar shingles, exposed trusses and gray-painted pine floors hint at their nautical location without feeling tacky since they kept everything else minimalist and light. The lake, of course, also played a huge role in the main house’s design. The spacious dining room flows into the lakeside porch and the living room walls open to let in the sun and breeze. A slight slope also gives the master bedroom unobstructed views of the water, the reason why the owners designed this dream house in the first place. 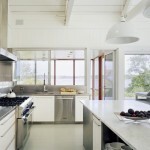 More from Robert Young Architecture & Interiors can be seen here.